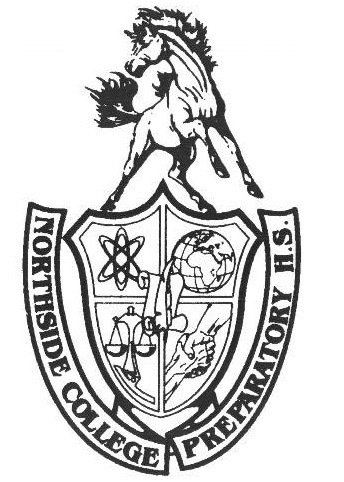 On March 23, 2018, just seconds after the clock struck 3:04 pm, Northside’s Local School Council (LSC) unanimously voted to not only allow, but encourage all teachers and staff members to bring guns with them to school. As of late, gun control has been one of the most controversial topics in the United States, with members on each side passionately advocating their position. Because of the massive school walkout by Northside students nine days earlier, the LSC waited until spring break to vote with the hope that no student would be aware of it. However, after being found out, the LSC released an official announcement confirming the decision after reviewing city, state, and federal laws and regulations, and stating that its decision is final. Also included in the announcement was a section about how the LSC drew inspiration from Trump’s support of the NRA’s plan to arm school teachers, stating “Northside is just getting a head start.” The purpose of introducing guns into the school was not readily clear, as the only mention of it was text in a big font that read “Make Our Schools Safe Again.” With no evidence whatsoever to support that, the HoofBeat turned inward to see how members of the Northside community anticipate life after break to be. Down the hall, Ms. Malueg could probably cover the English wing all on her own. “My gun of choice is an RPG,” Malueg said. “All of these other teachers are trying to be educational about their choices, but I want people to know I’m not messing around. That bad boy is staying on my desk all day. That way, my students know that they are going to be safe all the time.” Malueg also noted that a nice side effect of her RPG-covered desk will be an expected decrease in the number of students approaching her at the end of the semester to request that their grade be bumped up. While Ortiz, Golden, and Malueg are in charge of their respective classrooms, Ms. McCreedy, librarian, has many more students to look out for. Having to cover both floors of the library, one might expect McCreedy to carry a heavy weapon; however, she chose something far different. “My preference is to have a pistol with a silencer on it. I don’t care who you are, if you come into the library, you’re staying quiet one way or another.” To clarify, what Ms. McCreedy is saying is that, under any circumstance, she can keep the building safe and maintain 100 percent normal behavior, which is a major plus. As this spring break comes to a close, students will be in for a major shock upon returning to school. Before, the on-duty police officers were not enough. It is time for the Mustang community to realize that the only way to ensure the safety of the students is to allow teachers to carry weapons in class that could kill them all. What could go wrong?